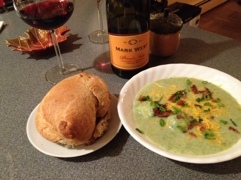 Broccoli cheese soup. Bacon and scallions. Herb bread.